In this April 14, 2004 file photo, a Domino's Pizza store is seen in Miami, Florida. Domino's, which has been bringing pizzas to doorsteps for more than half a century, will now deliver to the great outdoors. The pizza chain said Monday its drivers can meet customers at U.S. beaches, parks and landmarks to hand over pizza, cheesy bread and other food. Among the 150,000 outdoor locations: Under the Gateway Arch in St. Louis, or by the Las Vegas welcome sign. The locations show up in the company's app or website as "Domino's Hotspots." Delivery is a key part of the company's business, and it's pushed to make it easy to order through tweets or texts. Competition has grown from other fast-food chains trying to catch up. The future of food delivery is here, and apparently drivers are optional. 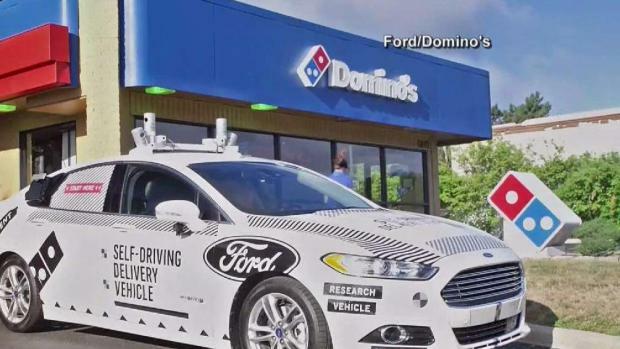 Domino's is testing its self-driving delivery vehicles in partnership with Ford. The six-week pilot in Ann Arbor, Michigan, in 2018 was followed by a program in Miami, Florida, earlier this year. 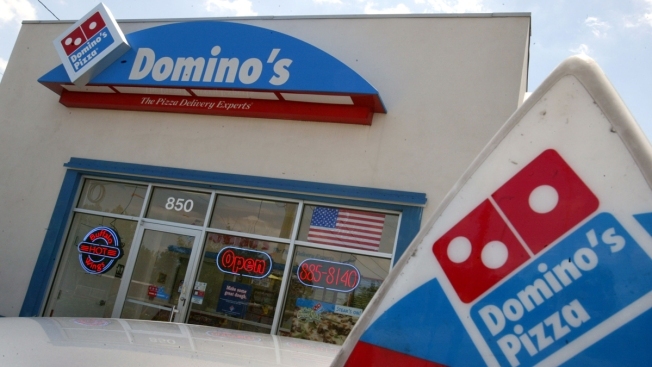 Domino's Pizza Inc. says it tested the service in Miami, where customers ordered outside hotels and the zoo.